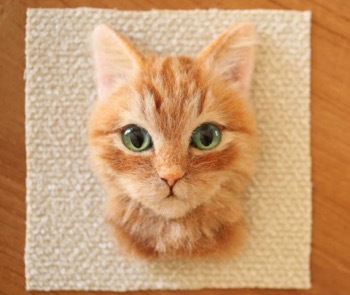 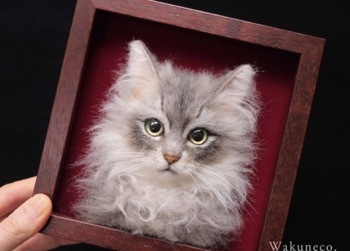 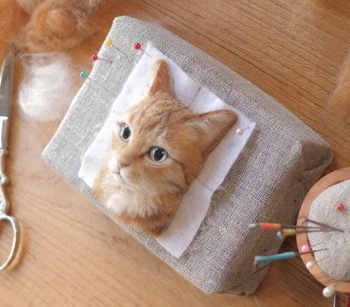 Japanese artist Wakuneco takes something as simple as wool and creates these awesome hyper-realistic cat portraits. 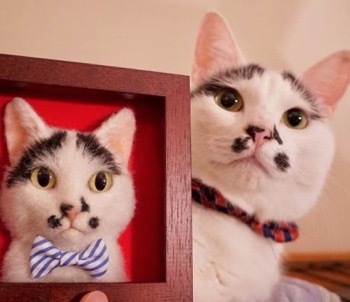 She uses wool of various different colors to create 3D portraits of cats using the needle felting technique. 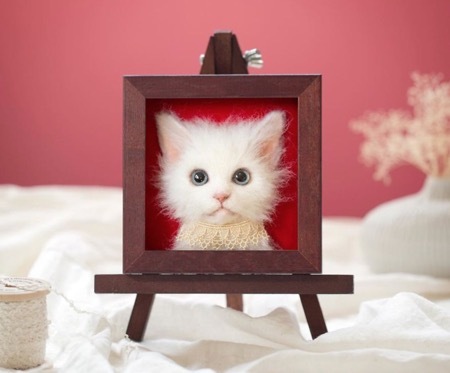 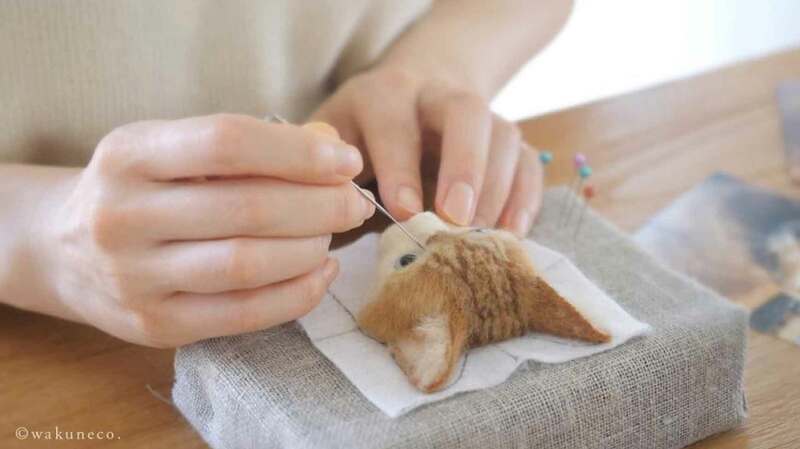 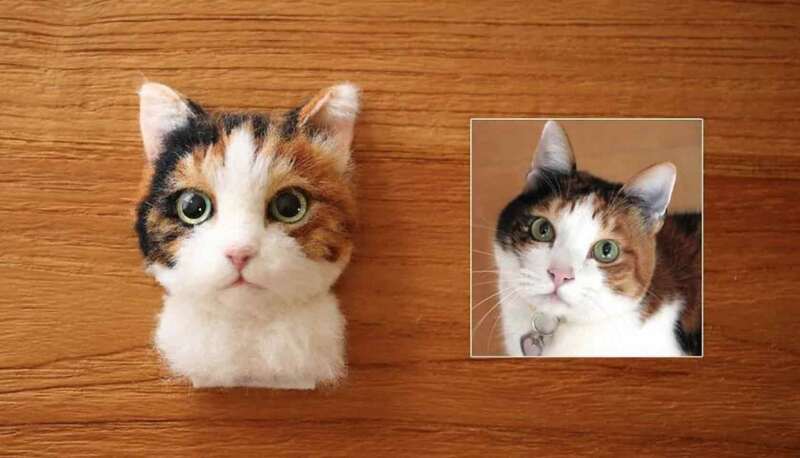 Each kitty is painstakingly made by poking layers of wool with a needle until the fibers compact and form into these incredible three-dimensional solid shapes. 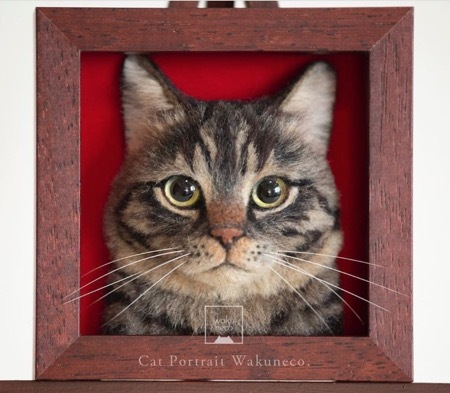 Wakuneco explains that it’s a very long and delicate process and takes her about a month to complete one portrait, but the result is stunning and well worth the effort. 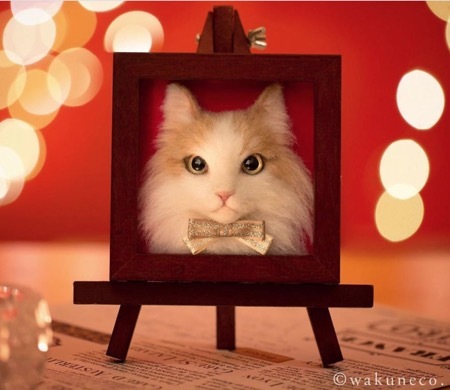 From calicos to ginger toms, she always uses photographs of cats to make them as life-like as possible and once complete, she mounts them inside a wooden frame, resulting in adorable works of art that look as if they would jump out of the frame at any moment. 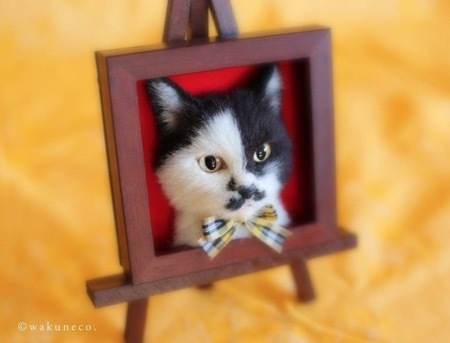 Take a look at some of her works below. 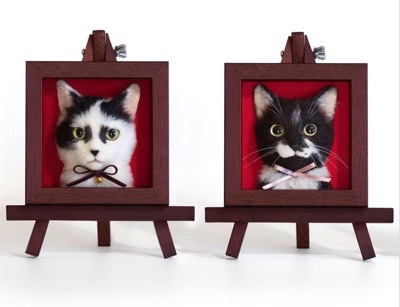 The results are so life-like they look as if they would jump out of the frame at any moment. 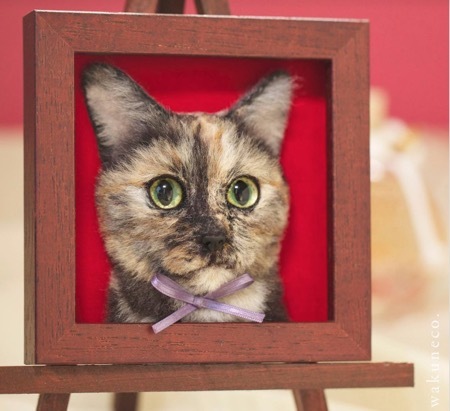 Click here to see an amazing speed drawing of a Bengal cat!